From now till February 9th, get 10% off the ENTIRE STORE. It's a good time to stock up on some fish supplies and save some money too. There is no minimum purchase for this promotion. 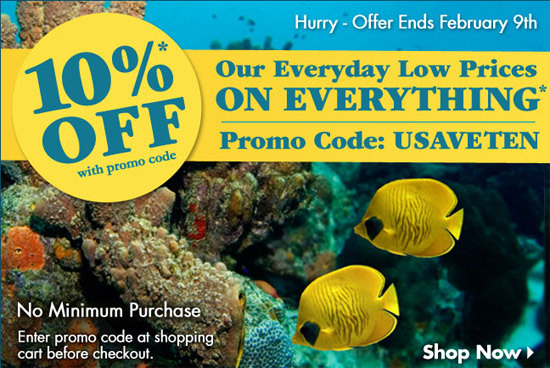 Use PROMO CODE: USAVETEN during the checkout process. Also, The contents are masterwork. you’ve done a excellent activity on this subject! germination to occur, the LED UFO grow light produces no heat.